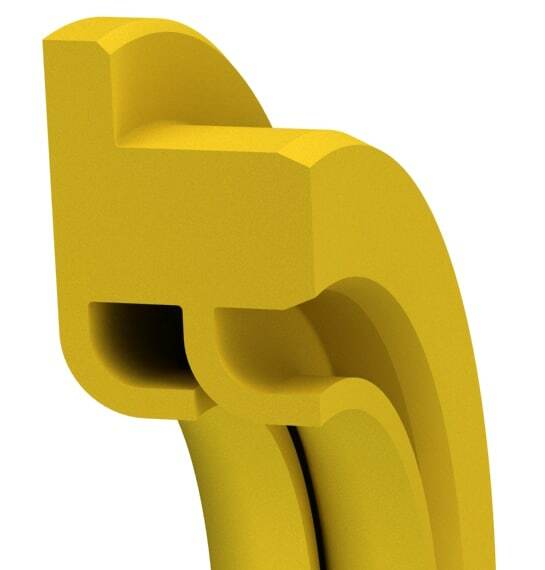 This flanged seal design incorporates redundant seal lips that provide higher pressure and better sealing capabilities, especially under flooded conditions. The soft OD eliminates damage to housings, is capable of handling extreme temperatures, aggressive media, high surface speeds, low to medium pressures, and can even run dry. The soft seal OD eliminates damage to housings manufactured from expensive metals, and the flange serves as an anti-rotation device where media being sealed precludes the use of an elastomer. It is typically used to provide, high-pressure solution and as a secondary seal in a purging or ported system. Small quantities are available in 2-4 days. *Standard cross-sections (CS) listed and non-standard sizes can be provided for any shaft size up to 63 inches. **For pressure above 3,000psi or temperature above 200°F, contact engineering for clearances. 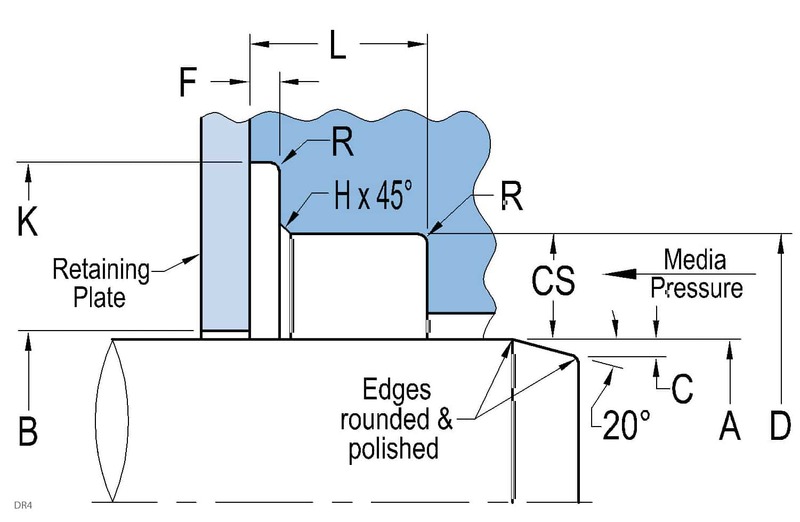 Surface finish: Shaft (A) plunge ground, zero lead Ra 6-12µin, Housing (D,L) Ra 16-32µin. Shaft material hardness 55-65RC. See Technical Info for more specific information. *Standard cross-sections(CS) listed and non-standard sizes can be provided for any shaft size up to 1600mm.Surface finish: Shaft (A) plunge ground, zero lead Ra 0.15-0.30µm,Housing (D,L) Ra 0.4-0.8µm. Shaft material hardness 55-65RC. See Technical Info for more specific information.